Usage: Quilting, Sewing, Alteration, Tailoring, Crafts etc. 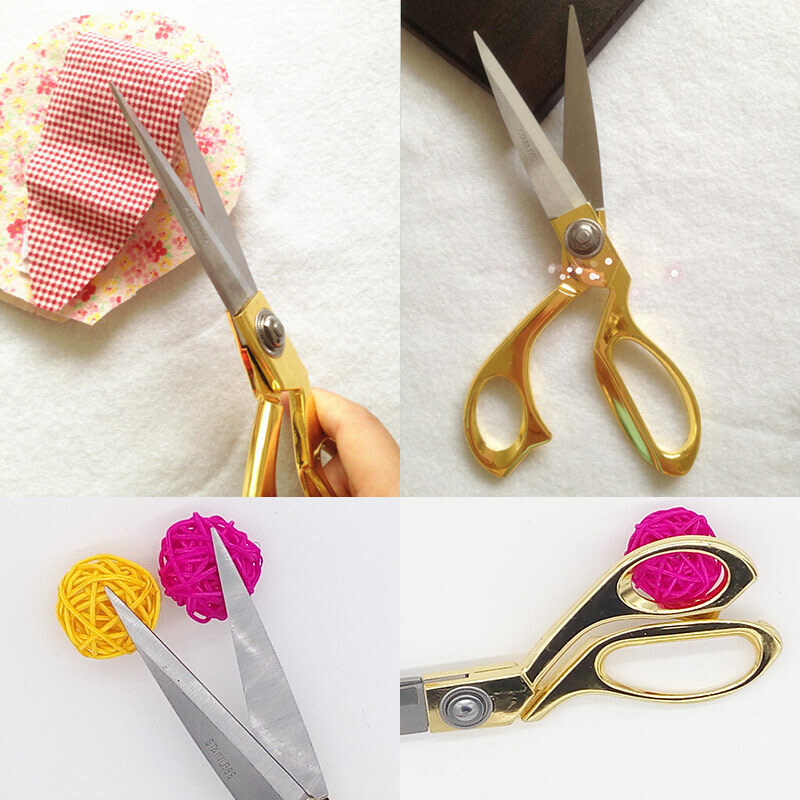 8 Inch Shears With Gold or Bronze Stainless Steel Handle for Tailoring, Sewing, Dressmaking, Fabric Crafting etc. These beautiful tailor scissors feature a classic golden offset handle; high-quality blades; and they are perfect for sewing; quilting; alteration and tailoring. This package contains one 8×3 inch pair of tailor scissors with classic golden handles. Imported.